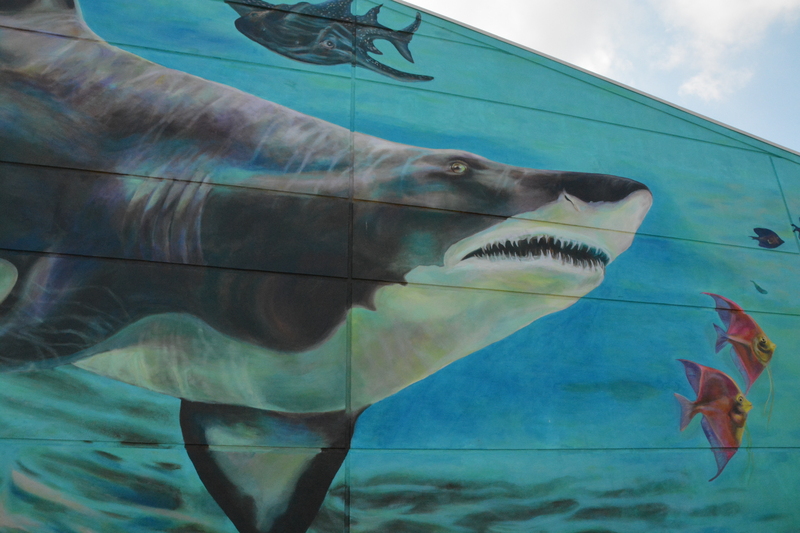 NEWPORT, Ky. — In celebration of Shark Week, Newport Aquarium unveiled on Aug. 14 the 35-foot-long sand tiger shark to highlight the newly completed #SharkWall mural. A 40’x50’ tarp covering the sand tiger shark dropped following a short countdown by Newport Aquarium employees, officially unveiling the completion of the #SharkWall to the tri-state area. 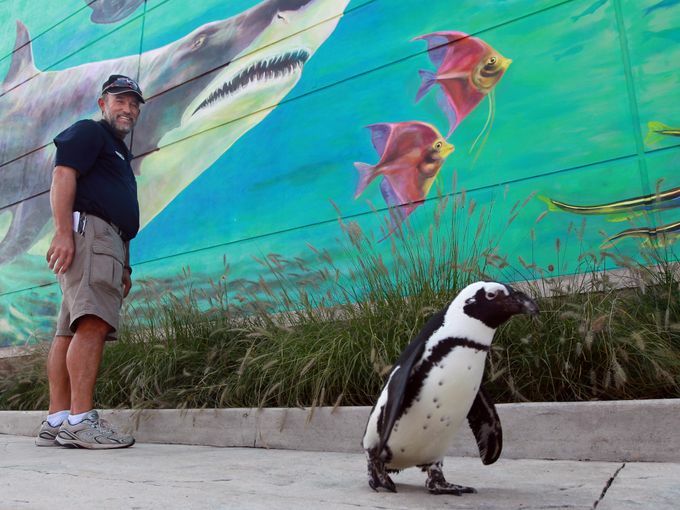 The unveil included photo opportunities of Paula the African black-foot penguin; Tilly the loggerhead sea turtle; and Gary the American alligator posing in front of the mural next to their likenesses. 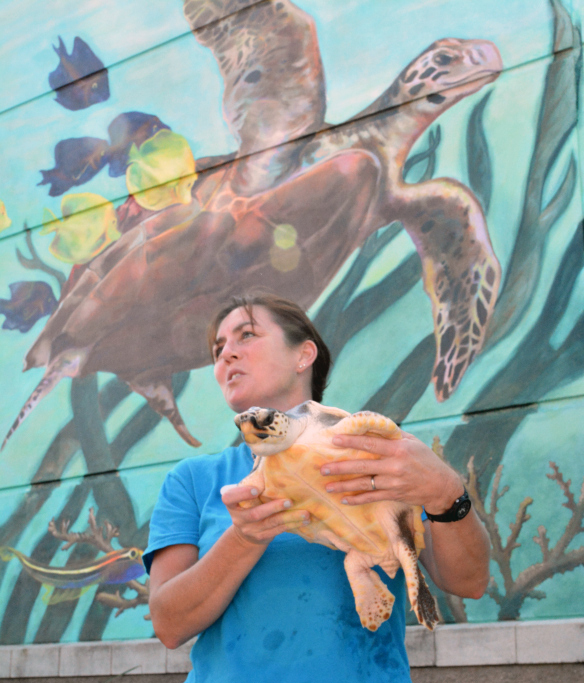 Biologist Jen Hazeres with Tilly the turtle. 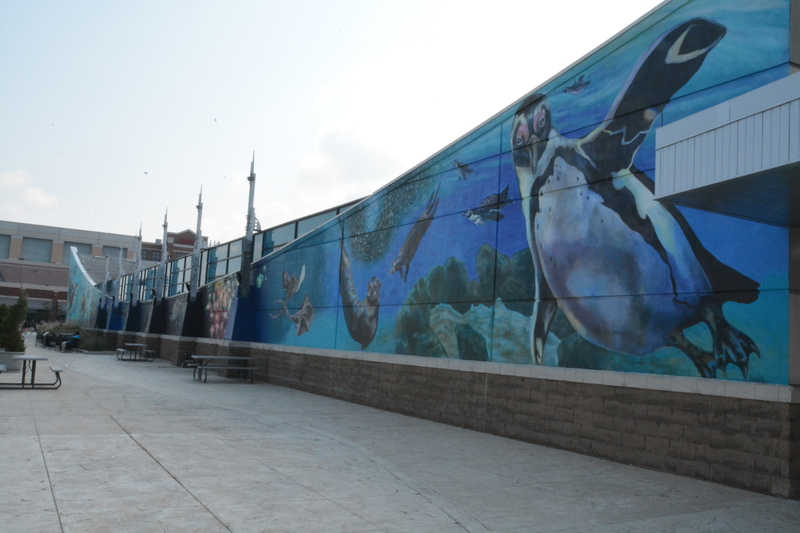 ArtWorks Cincinnati produced the #SharkWall mural for Newport Aquarium as part of the aquarium’s 15-year anniversary. 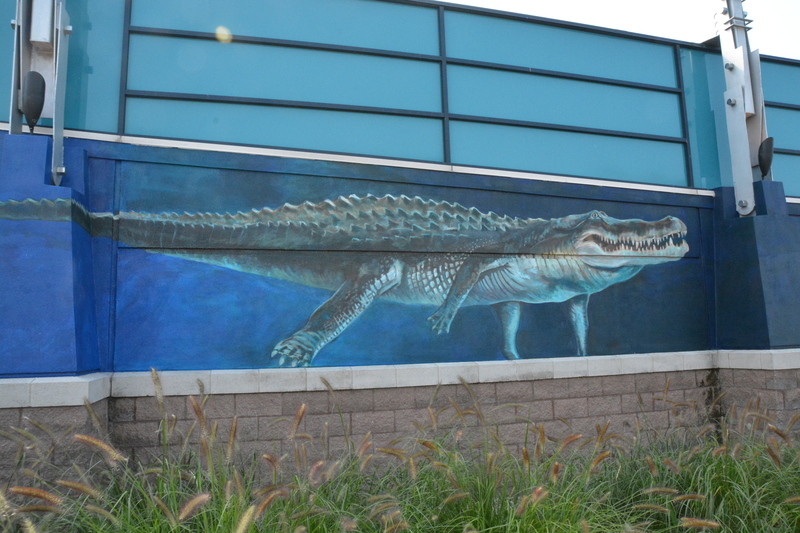 A rendering of Mighty Mike, the 800-pound, 14-foot-long American alligator that resides at Newport Aquarium’s Gator Alley exhibit, is located near the center of the #SharkWall. Completion of the mural, which occurred on Aug. 8, came to fruition thanks to the hard work of ArtWorks and its group of more than 15 dedicated artists, 12 of which were young artist apprentices from various neighborhoods throughout Cincinnati and Northern Kentucky. The lead designer of the mural was Roz Tallmadge, a Cincinnati native and Walnut Hills High School alum. She named the design of the mural “Shining Seas”. This entry was posted in #SharkWall, Shark Week and tagged #SharkWall, Shark Week by NewportAquarium. Bookmark the permalink.